fes desert tours 2 days 1 night from fes to fes. Day 1: Fes – Ifran- Azrou- Midelt- zizi valley- erg chebbi dunes. This journey will begin with picking you up from your accommodation or Airport early in the morning to have a plenty time through the ride. The first stop in our Fes desert tours 2 days will be Ifrane that is well known as “ the Swizerland of Morocco”, to enjoy the beauty of nature in addition to the fresh atmosphere this city offers as well as capturing some memorable photos. 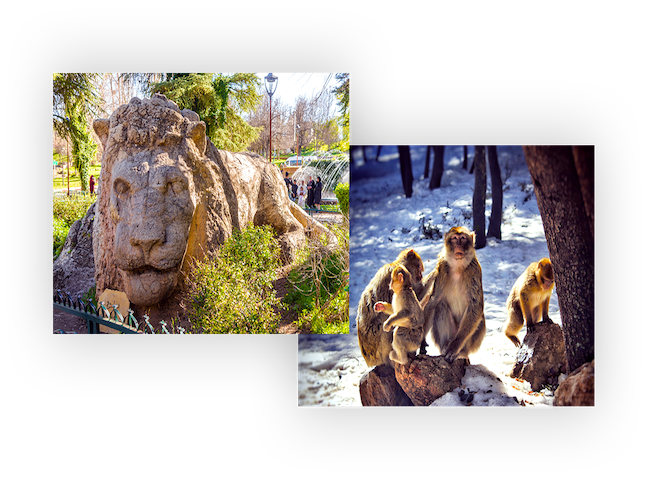 Afterwards we will head towards Azrou with its famous Cedar forest, to enjoy the panoramic views besides of the scene of the monkeys. Proceeding to Midelt where we will have lunch break in one of the local traditional restaurants. In the afternoon we will continure our drive through Tizi N Talghamt to Errachidia while admiring the breath taking views. 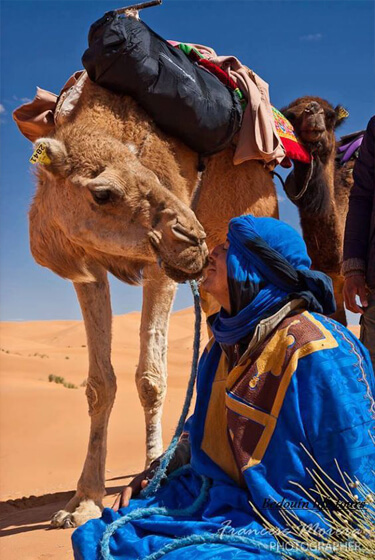 Next, on our Fes desert tours 2 days we will proceed the drive towards Erg Chebbi, passing by several cities such as Aoufous and Erfoud, we can also visit some local workshop of traditional crafts. After we will arrive to our accommodation in Erg Chebbi to get ready for camel trekking in the Merzouga dunes and at the same time enjoying the fascinating sunset, after an hour and a half we will head to our camp, where we will spend the night and have dinner in an aesthetic nomadic tent in the middle of the Sahara. With this our first day in Fes desert tours 2 days has ended. 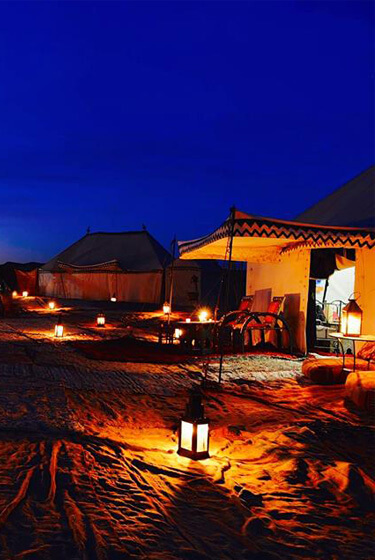 On the second day of Fes desert tours 2 days, we will wake up early in the morning to enjoy the outstanding sunrise on the top of the dunes of Erg Chebbi. After, we will have our breakfast in the nomadic tent. Following, we will go back to our accommodation in order to freshen up while riding camels. With this, we have come to an end to our Fes desert tours 2 days, then we will go back to Fes while admiring the scenes of nature. Our professional driver will drop you off at your accommodation or you Airport. 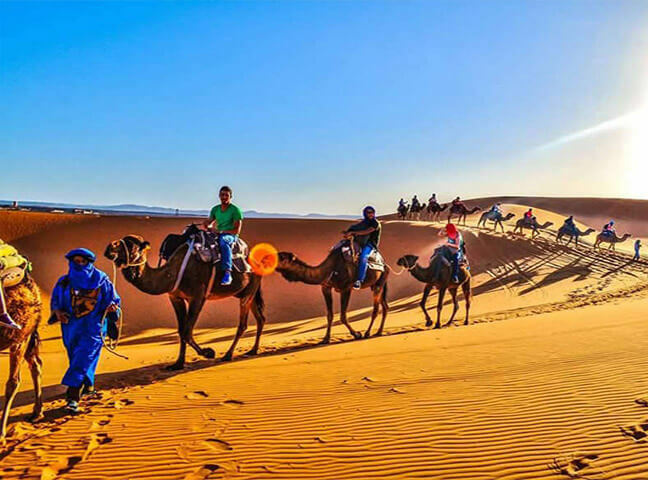 Join us and book our fes desert tour 2 days to enjoy the sights of the south of Morocco in an unforgettable journey.